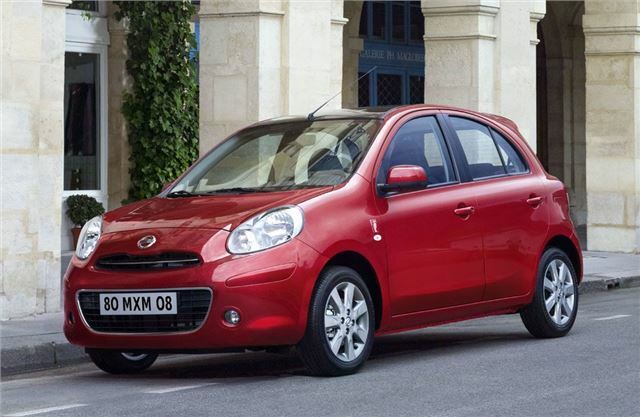 Nissan has partnered up with fashion magazine Elle to develop a new special edition Micra model, priced from £12,000. There is a choice of three colours – red, white and blue – along with a new fabric seat covering. The biggest draw, though, is the generous standard equipment. There’s air-conditioning, a panoramic glass roof, chrome details, alloy wheels, front fogs, keyless entry and start, electric mirrors, a speed limiter and cruise control, while in-built sat nav is an option. Both the naturally aspirated and turbocharged 1.2 litre engines are offered, with the latter bringing CO2 down to 99g/km while producing peak power of 98PS. That means congestion charge exemption and free annual VED, and with its best-in-class turning circle, Nissan hopes it will appeal to young city-dwelling Elle magazine readers. It’s available from September 1.